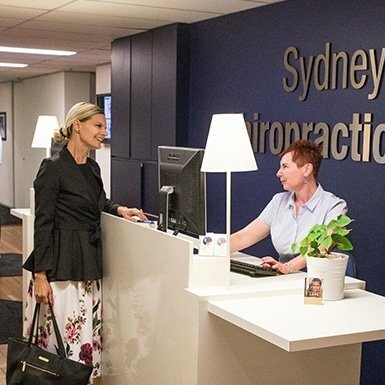 Sydney Chiropractor | Best Chiropractor Sydney CBD - Book Now! With over fifty 4.5+ star ratings on Google Reviews, we’re glad to know our customers love what we do and are happy to tell others about us. First time at a Chiropractor? Not to worry. Our friendly staff are here to make sure you feel comfortable and enjoy your Chiropractic experience. We pride ourselves on our friendly and professional staff. Our years of knowledge and expertise helps us to deliver an excellent Chiropractic service. Our professional Chiropractors get to the source of everyday problems that cause unwanted symptoms like neck pain, lower back pain, stiffness, muscle tension, pinched nerves and headaches. We help resolve these problems with natural chiropractic care. With years of university training and clinical experience, our doctors of chiropractic identify and treat neck and back issues by using natural, specific adjusting techniques that resolve the cause of irritation. Symptoms, such as lower back pain often come from pinched nerves or irritated spine joints. Chiropractic treatment can often help. Likewise, problems like neck pain, neck stiffness, or shoulder pain are common reasons that people come to see our chiropractors. Adjustments commonly help relieve pinched nerves that cause neck pain and back stiffness. Chronic back pain or chronic neck pain reveal the need for professional help. Our chiropractors use treatment techniques, ‘Spinal Adjustments’, that are designed to help restore spinal alignment and function. Chiropractic Adjustments are the most effective method available as treatment for neck pain and back pain. In simple terms, Chiro-practic is simply Chiro (hand in Greek) + Practic (method). The practice of using the hands to adjust the spine. (The Manga Report). Pran Manga and Associates (1993) – University of Ottawa, Canada. On-site digital x-ray imaging helps find the cause of your back and neck problem. Then your specific program of precise, gentle and specific spinal adjustments begin to help re-train spinal function and alignment. We are here to help you get the best results through correction of problems. We want you to feel great again.